Size: approx. 10-15 mm. Photo: 09/05/11, 11 am. A Honey Bee (Apis mellifera). 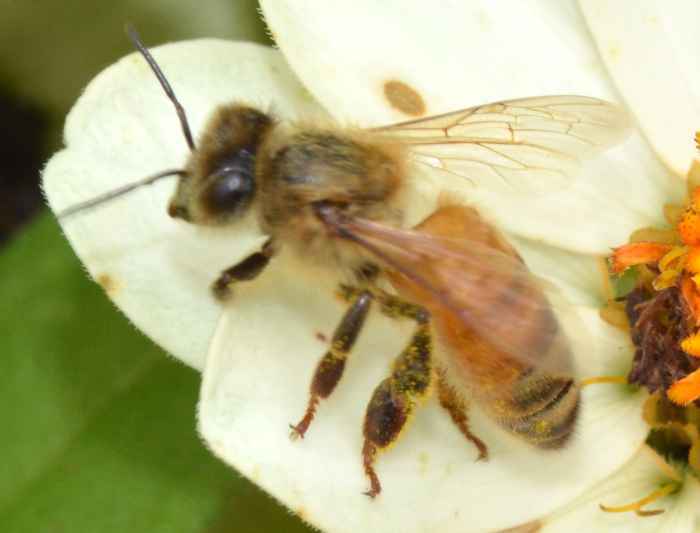 Honey bees are not native to the Americas but were introduced by Europeans settlers. There are about six recognized subspecies in our area. 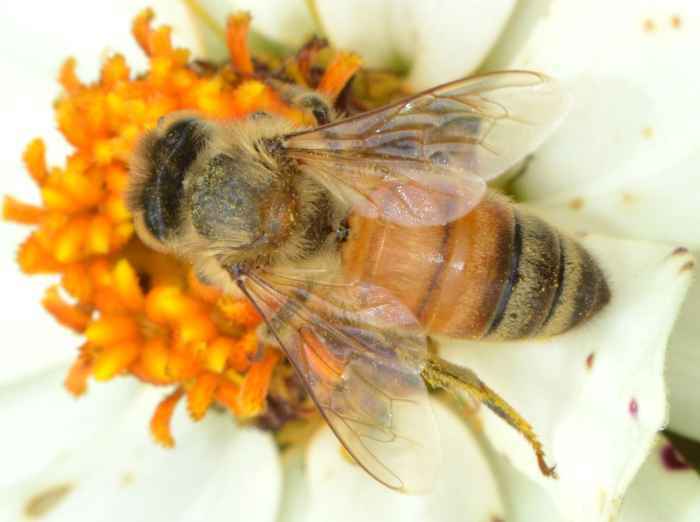 Wild bees are mostly hybrids.